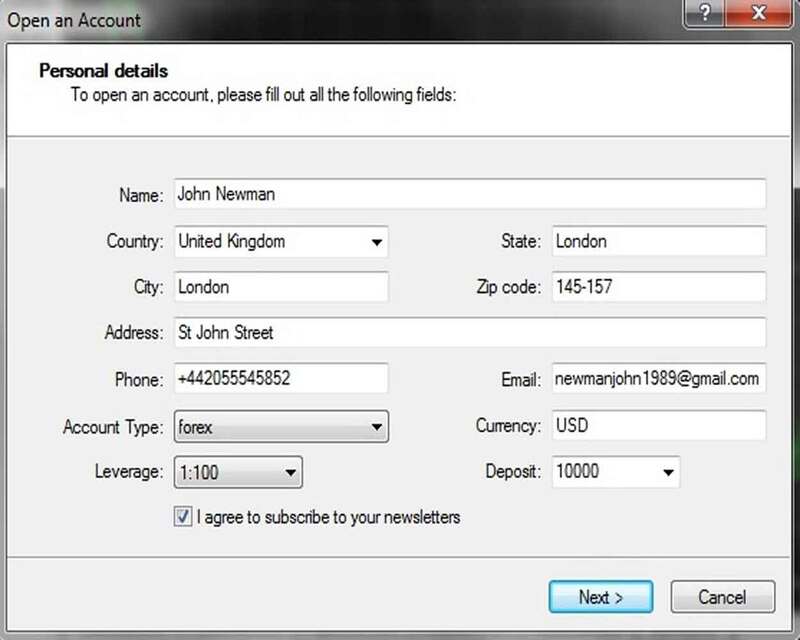 This procedure is meant only for the clients who are not registered in Profile. 1. 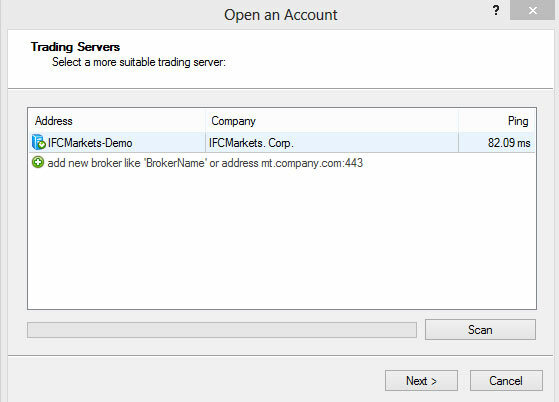 Download MT4 Platform and install it on your PC. Click on "File" of the main menu. A drop-down menu will appear. 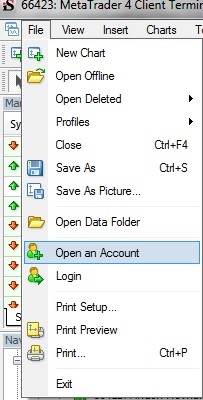 Select "Open an account" from the there to call out the first window of the account opening procedure: "Personal details". Fill out the fields and tick "I agree to subscribe to your newsletters" check-box. Select the appropriate demo server and press "Next". Make sure you saved this information and press "Finish" to close the pop-up window and resume the procedure. 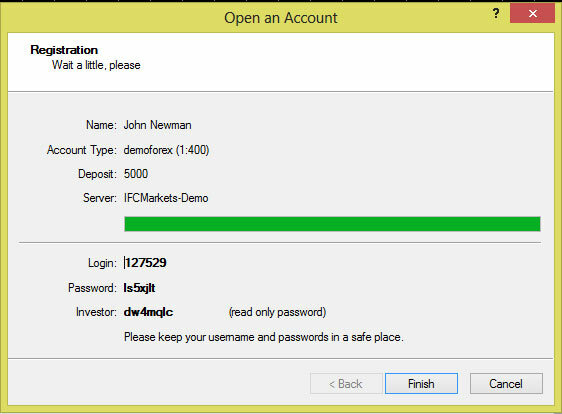 You will be automatically logged in to your newly opened demo account. Before taking any practical steps, you can gain theoretical knowledge on Forex and CFD trading in “Education” section of our website.